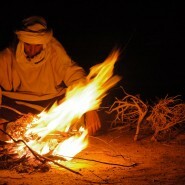 If you want to improve your life with minimal effort, you need to learn how the Bedouins light fires. Thank you for leading us into ellul so beautifully. May you reap great rewards from all your hishtadlut and may Hashem bless you greatly for your generosity of spirit in teaching so many of us lessons of and for life.